The pair probably thought they were being “productive” and “efficient” carrying out six robberies in just five days. Well, their “lucky” streak is over as they have been busted. 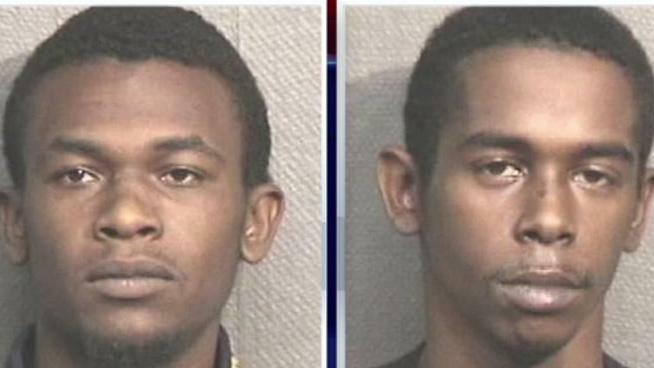 The two serial robbery suspects accused of robbing businesses located next to each other are now spending time in prison. Five establishments were robbed in west Houston in dangerous and scary circumstances, leaving the victims terrified. One of them, JJ, works at a Burger King outlet at Westheimer and Dairy Ashford. JJ narrated how the suspect walked in wearing a mask. She ordered him to take his mask off, but instead, he blatantly jumped on the counter, held JJ at gunpoint and took money both from the front counter and the drive-thru. So scared was the poor worker at that time that all she can think of was the fate of her children should the suspect do anything to her. She actually thought she might get killed at that point. JJ could only heave a sigh of relief and gratitude now that she’s alive and safe, and able to be with her children. But the Burger King incident happened to be just one of six robberies at Westheimer and Dairy Ashford that occurred in just a matter of days. The other robberies took place at McDonald's, Auto Zone the Family Dollar and the Starbucks, which was robbed twice. The suspects probably thought they were quick, smart and brazen with their criminal activities, but the detectives proved to be a whole lot smarter. They were able to observe a trend, and having established the suspects’ “strategies and tactics”, they planned for the next move of the officers with the westside tactical unit, and to be on the lookout for the pair. Charged with the Burger King robbery was 26-year-old Louis Chaney, and his lookout, 23-year-old Antwraine Garror. More charges are expected to be filed against the pair for the other robberies as well. This is what happens when you're stupid and greedy! Death to all illegal wasichu occupiers of Turtle Island. "Antwraine"…. and the parents thought that this name would give him a head-start in the world.